Wat Mahathat Yuwaratrangsarit is one of the 10 royal temples of the highest class in Bangkok. It was used for royal ceremonies and funerals during the Ayutthaya period. 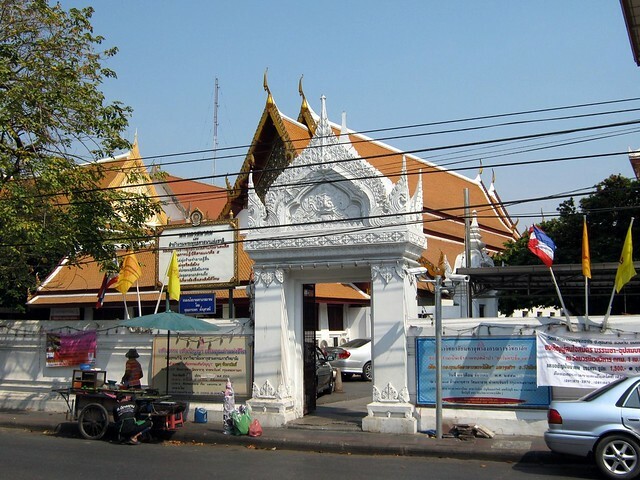 The temple is highly signified in Bangkok and contains the idols of Buddha. It houses a popular meditation center and the first Buddhist University in the country. Many large and beautiful Buddha relics are seen here as you walk in the passages. The orientation hall here is one of the largest in the country. Its significance is that it is the busiest temple in Bangkok a number of monks and scholars practice religious learning by Lord Buddha. Amulets are quite famous here and you will find a huge amulet market right next to the temple that too at a good price if you bargain well. There are also ornately decorated pedestals and galleries surrounding the Wat Mahathat Yuwaratrangsarit temple where you will find the most distinctive Buddha idols.